Islamabad, Federal Directorate of Education Islamabad is going to declare the FDE primary class result 2018 on 29 March 2018 in the result announcement and prize distribution ceremony. 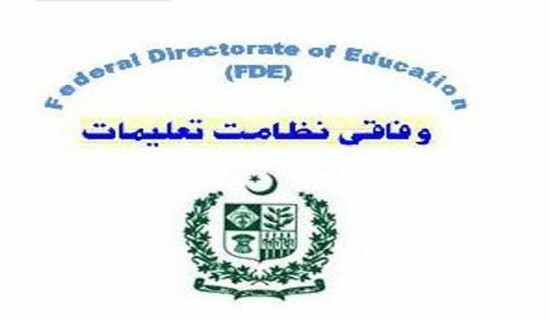 FDE class 5 result 2018 will be declared in Islamabad Model College for Women, G-10/2 Islamabad and the chief guest will award the prizes to the position holder students. The candidates will be asked to check their FDE 5th class result 2018 online after 02:00 pm and they will get the marks and their position during the FDE grade V annual exams 2018. The 5th grade students will report to FDE to get the marks sheet and gazette, which will be issued to students from 04:00 pm to 06:00 pm and the students will check the marks and result online on the same date from website of FDE or from this page.